Ten (10) million tons of post-consumer waste shingles or “tear-off” shingles from replacing old roofs are generated in the U.S. every yea. Another one (1) million tons of manufacturers’ waste shingles are also generated. Known as Recycled Asphalt Shingles (RAS) they are an excellent source of asphalt binder, containing 15-35%, and can be processed, reheated and combined with virgin asphalt binder to glue the new asphalt mixture together. In the last decade, transportation agencies have allowed recycled asphalt roofing shingles (RAS), to become a portion of new asphalt mixtures. 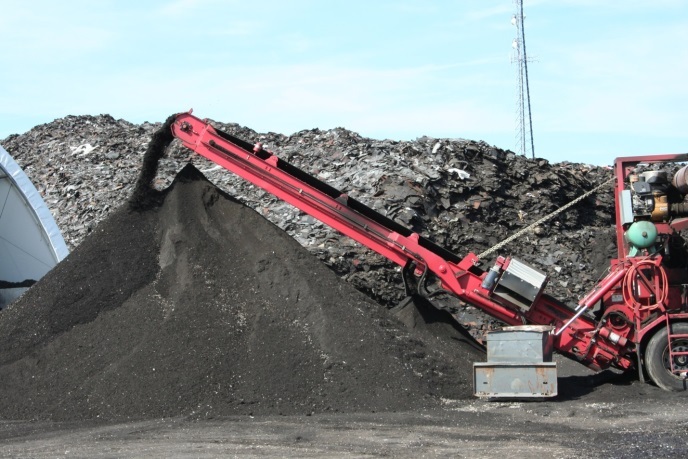 The environment benefits of the Asphalt Paving Industry using RAS are significant. 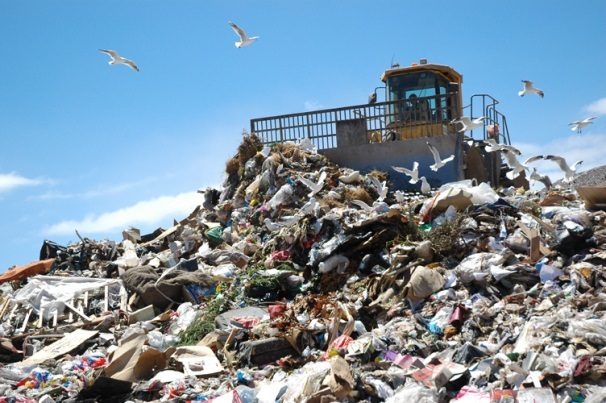 Manufacturer and post-consumer shingles were once buried in landfills. A Wisconsin study of municipal solid waste (MSW) reported that asphalt shingles represent the third largest source of land filled material each year. Only untreated wood and food waste were higher. Today shingles are recycled back into asphalt mixes, thus, shrinking landfill space can be saved by using waste shingles in asphalt mixtures. Asphalt roofing shingles constitute nearly two-thirds of the roofing market for both new homes and roof replacements. Roof installation generates an estimated 10 million tons of shingle tear-off waste and installation scrap annually. U.S. manufacturing plants generate another 1 million tons of manufacturing shingle scrap. This represents over 2 million tons of liquid asphalt binder available for use in asphalt paving mixtures, or a replacement of almost 9 percent of the current national need for liquid asphalt binder in pavement construction. Reuse of the asphalt binder from the shingles is a direct, 1:1 reduction in new asphalt binder required to produce new asphalt mix. RAS is a very attractive component of an asphalt mixture to the asphalt producer as well because of its extremely high asphalt content. RAS typically contains 15% – 35% asphalt binder (RAP has a binder content of about 5 percent) so the savings are significant. Additionally, RAS has a small percentage of fine aggregate that replaces the need for 100 percent virgin aggregate. The consumer/customer also benefits from the incorporation of RAS into asphalt mixes. Asphalt binder is the most expensive component of an asphalt mix, costing as much as $600 per liquid ton. Using recycled shingles reduces the amount of new asphalt required to be purchased saving the producer money and those savings are passed on to the consumer/user. U.S. asphalt producers are constantly seeking ways to reduce or extend the virgin asphalt binder they use in their products with a continued industry emphasis on environmental and quality assurances. Asphalt shingles contain anywhere from 19 to 36 percent of liquid asphalt binder making the inclusion of even a small percentage of shingles have a significant effect on the amount of new asphalt binder required in an asphalt mix. Asphalt shingles also contain other materials (fibers, fine aggregate and mineral filler) which are commonly used in asphalt mixtures. For these reasons the use of shingles has become a part of the asphalt industry in the last decade.